Arsenal vs Leicester City Live Streaming: It is the first match day of the Premier League (EPL 2017-18) and today we have the first game of the league. Arsenal hosts Leicester at the Emirates Stadium for their game. Both the teams have played enough pre-season fixtures in order to get match fit and start off their season with a positive attitude. 12th August 2017 at 00:15 (IST). Arsenal had a positive pre-season as they won the Emirates Cup and the team played well. The most important thing is that the new signings, and both Alexander Lacazette & Sead Kolasinac played wonderfully. It might be possible for Lacazette and Kolasinac to make their league debuts. Alexis Sanchez is out due to abdominal strains. Their defender Koscielny is banned with Mertesacker, Ozil, Wilshere and Ramsay are fitnesss doubts. Arsenal have won 10 successive league home games against Leicester, their longest winning streak at home against a particular opponent. Arsenal’s record on the opening day hasn’t been good in the past couple of season’s as they have won just one game on the opening day in last seven seasons, drawing three and losing three. LeicesterCity were the champions in the 2015/16 season and were very poor in their last season. Danny Drinkwater and Iborra are unavailable due to muscle problems. Kelechi Iheanacho have signed for Leicester City from Manchester City and may make his debut for Leicester against Arsenal. 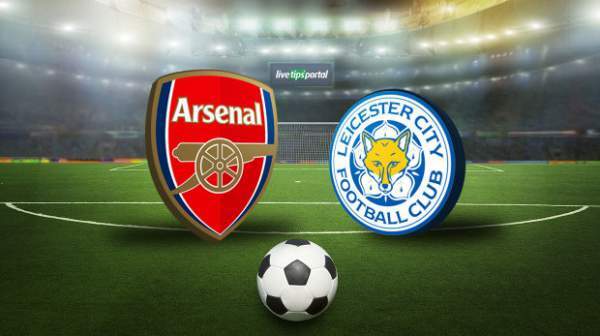 It has been 44 years since Leicester’s last away win at Arsenal and they need to change that. The Foxes have won their opening match just one time out of the last eight premier league campaigns. Jamie Vardy will be the key player here as he has scored Leicester’s City last three goals against Arsenal but has lost every time. Arsenal is in good form and their record against Leicester City is very good. They have a good attacking team which can be the difference against Leicester. Come back for Arsenal vs Leicester City live streaming, watch epl online, commentary, score updates, video highlights, and much more. What are your thoughts? Stay tuned to TheReporterTimes for latest football news.